House flipping has become popular in Australia in recent years perhaps thanks to reality TV shows like The Block and House Rules. House flipping is when a property investor buys, renovates and sells a house for profit in a relatively short space of time, usually within 12 or 24 months. This is opposed to a traditional property investor who might hold onto a property for a five years or a decade before selling. There are pros and cons of house flipping as we’ll outline below. While it can be profitable, it’s always a good idea to thoroughly do your research rather than rush in and buy something just because you got inspired by a TV show! You can make a tidy profit – This is the main reason people want to house flip. If done successfully you can gain a large profit in a short period of time. You gain experience – Each property you flip brings a new chance to learn something. You will also likely gain valuable insight into the local market and real estate in general. You may increase your network – The industry contacts you make during a flip are handy to have for future investments. These can include: traides, real estate agents, conveyancers, mortgage brokers and ideally also other investors. You get to realise your vision – Being able to see the potential in a home and give it more value can give you a real sense of personal pride and achievement. 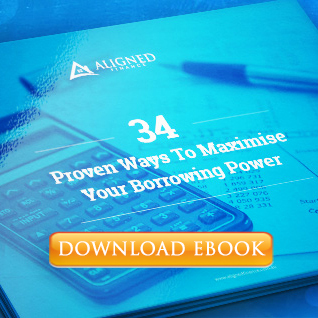 You could lose money – Unforeseeable expenses might crop up that you hadn’t budgeted for and eat into your profit. If you can’t get a buyer you may have to sell at a much lower price than you intended. Your broker could lose money – If you’re using a broker, s/he may lose 100% (if your mortgage is settled within 12 months) or 50% (if within 18 months) of their commission so it’s good to be aware of this and perhaps agree on a special arrangement with them. The market can move against you – you can be stuck long term with a property you didn’t intend to hold for that long if the market changes during a flip. There may be stress involved – House flipping can be stressful. From sourcing the right property, anticipating costs, dealing with traides, real estate agents and finding a potential buyer, you ma feel your blood pressure rise. It’s worth noting that flipping can be great for cash flow but it’s not so great for wealth building since you won’t enjoy the likely appreciation of the property over many years. As always, we encourage you to contact us for a chat about the various financing options available to you.